Kunlé Adeyemi and Suzanne Lettieri, cover of Water and the City, 2017. Courtesy of the authors. 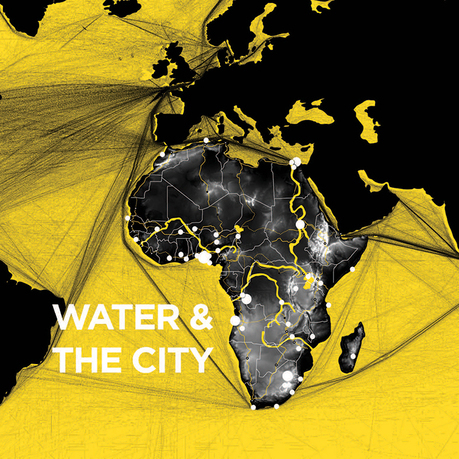 Water and the City is a comprehensive publication documenting parts of the ongoing research project African Water Cities, a unique and innovative body of work initiated by architect, designer, and urbanist Kunlé Adeyemi, in 2011. This research conducted by Adeyemi's practice, NLÉ, explores the impacts of urbanization, housing shortages, scarce resources, and climate change in African cities and communities on or along water. The research reveals such facts as that the fastest economic and population growing African cities are also some of the most vulnerable to climate change. 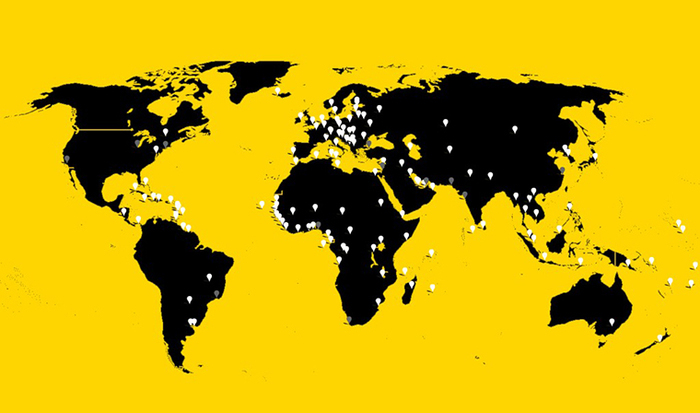 On this premise, Water and the City continued in studios led by Adeyemi and Lettieri at Cornell University's College of Architecture, Art and Planning with various local partners, focused on Dar el Salaam, Tanzania and Lagos, Nigeria in 2014–15. By conducting macro-scale investigations at the convergence of rapid urbanization and climate change, the research tackles social, economic, and environmental challenges and opportunities that shape the development of these cities and neighbouring communities. The overarching aim of Water and the City is to identify and bridge critical gaps in infrastructure to stimulate sustainable developments, and provide alternative methods of thinking, building, and living on and by water. Kunlé Adeyemi is an architect, designer, and urban researcher. He is the founder/principal of NLÉ and Aga Khan Design Critic in Architecture at Harvard University Graduate School of Design. His notable works include Makoko Floating School, an innovative prototype floating structure located on the lagoon heart of Lagos, Nigeria. This acclaimed project is part of an extensive research project, African Water Cities, developed by NLÉ, an architecture, design, and urbanism practice founded by Adeyemi in 2010, with a focus on developing cities and communities. NLÉ recently launched MFS III—a new, improved iteration of Makoko Floating School—at this year’s la Biennale di Venezia, for which it was awarded the Silver Lion. Other projects include Chicoco Radio Media Center, an amphibious community building in Port Harcourt, Nigeria; ROCK Lakefront Kiosk in Chicago; the CDL Head Office in Lagos, Nigeria; and the Serpentine Summer House at the Royal Kensington Gardens in London. Suzanne Lettieri is a principal of the design office JE-LE, and is a Michigan-Mellon Design Fellow at Michigan's Taubman College of Architecture and Urban Planning, having previously served as Visiting Critic at Cornell University's Department of Architecture. She received her MArch from Cornell University, and has also worked at the OMA New York, Biber Architects, and CODA.